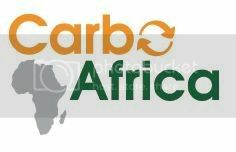 Although Africa contributes significantly to global greenhouse gas (GHG) emissions from sources other than fossil fuels, it could be absorbing more carbon from the atmosphere than it puts back in, according to CarboAfrica, an international research project of 15 institutions from Africa and Europe that includes the UN's Food & Agriculture Organisatin (FAO). To get the most out of Africa's future climate role, reducing emissions from agriculture is considered to be crucial. So is preserving the continent's existing carbon sinks. 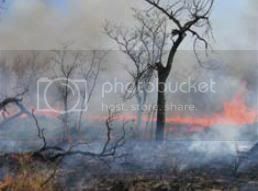 Studying wild fires in South Africa's Kruger Park, carbon dioxide flows in the rainforest of Ghana or weather patterns in Sudan, CarboAfrica's research indicates that, as opposed to its minor part in global GHG emissions from fossil fuels — less than 4% of the world's total — Africa makes a major contribution to GHG emissions from natural sources, FAO said today. As to deforestation and fires, Africa accounts for 17 percent and 40 percent of the global aggregate emissions respectively. In addition, it strongly influences the atmospheric variations of CO2 between seasons, and from year to year — half of them can be attributed to Africa. "These first results show that Africa plays a key role in the global climate system," said Riccardo Valentini of the University of Tuscia, Italy, and project coordinator of CarboAfrica, which was set up in 2006 with €2,8 million of funding from the European Commission's research department. What matters most though, Valentini stresses, is the balance between carbon captured through photosynthesis by Africa's vast expanse of forests and savannas, and carbon released into the atmosphere as a result of deforestation, fires and forest degradation — Africa's ‘carbon cycle'. CarboAfrica has been observing Africa's Sub-Saharan carbon cycle through a network of monitoring stations in eleven countries for the last two years. The preliminary results, to be finalized by 2010, were discussed at a conference in Accra/Ghana, that brought together over 100 participants from the international scientific community, governments and the United Nations. "We should reach out to farmers in Africa, teaching them how to use their land and their forests in such a way that Africa's carbon cycle becomes our ally in the battle against climate change," she said. "It is crucial, and possible, that such efforts contribute to increasing food security at the same time." Ms Semedo stressed that through appropriate soil management, such as practiced by conservation agriculture, GHG emissions from agriculture can be reduced, while at the same time increasing productivity and even harnessing agriculture against the woes of climate change. In line with the UN's Convention on Climate Change, avoiding deforestation and extending Africa's forest cover, should be another top priority.